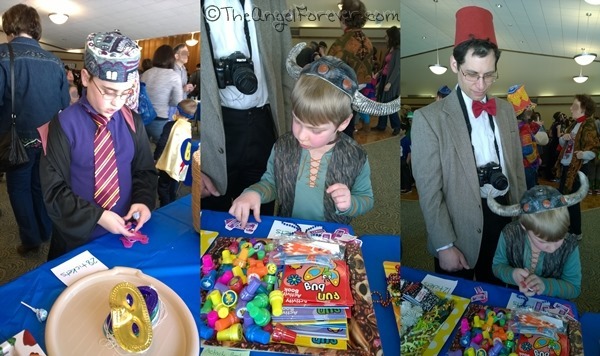 Sunday was a big day in the Jewish community as we celebrated Purim. I have so many memories of this holiday as a child and now as a parent. This is the holiday when people dress up and celebrate, make noise with groggers at the mention of Haman, and eat delicious hamantaschen. It truly is a great time when you see kids of all ages parading around in their creative costumes (see the photo below). 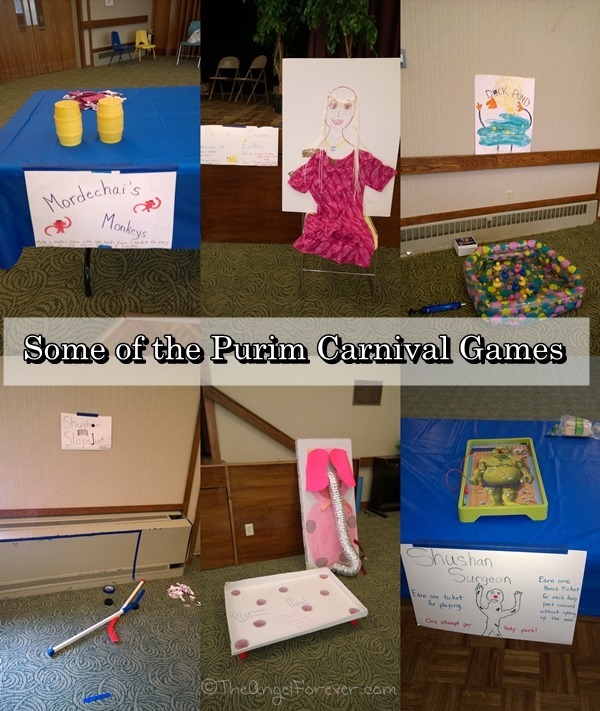 I thought that Purim would be the perfect time to test out the new camera on my Nokia Lumia Icon smartphone because while working at the carnival I would not have time to use a regular camera. I received this phone last week as part of the Verizon Lifestyle Bloggers program. When we dropped the boys off at Hebrew School Sunday morning, TechyDad and I went to help with the setup of the Purim Carnival. Of course, the moment TechyDad walked in, fellow Whovians knew exactly who he was and started geeking out with him. By the time we arrived, most of the games were already set up. 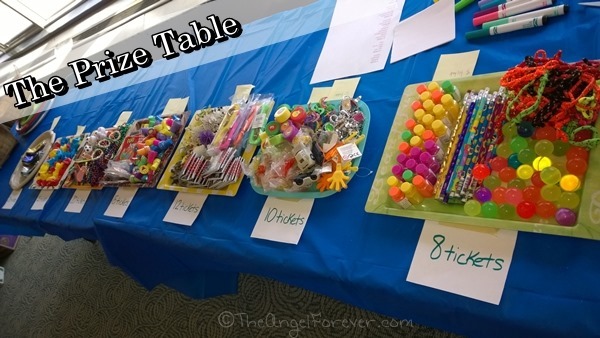 The Prize Table where I was going to be working during the carnival had not been started, so we went over to sort things out and get it ready for all of the kids. 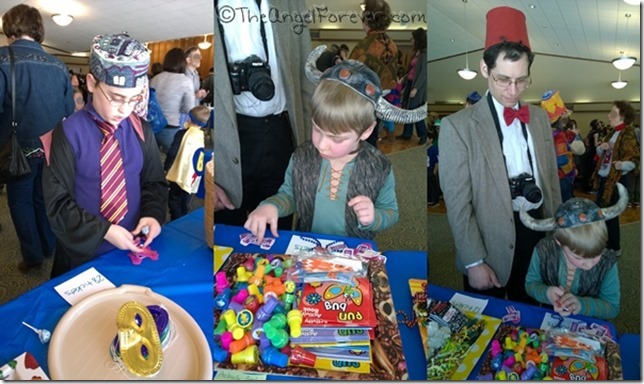 I took the photo of TechyDad just before the Purim Carnival started. I took one with the Icon and then decided to snap another one with a recent Android smartphone I have received from Verizon. The lighting in the room was tricky and in hindsight I should have asked TechyDad to move. This would have helped with the light that was odd over his head in the background and the entire wall of windows scattering light. Again these were quick on the fly photos like I would take with the kids while out and about. I do believe that one of the photos was more true to the colors in the room, much more crisp, and handled the lighting better. The answer will be below, so make sure to look at the original from above again. I kept busy with another member of our synagogue at the prize table the entire time. I really never saw the boys unless I happened to catch Harry Potter, Hiccup, or Doctor Who in the distance. Thank goodness the boys came to get some prizes from time to time. I had hoped to test out the video of the band playing during the festivities, but I never had a chance to get over. I think it really would have been a great test with all of the background noise from kids playing games. No doubt there will be another opportunity. Over all, I am beyond impressed with the camera on the Lumia Icon. Next, I hope to learn how to use the manual settings because I have never seen a smartphone with so many advanced options and I truly want to explore it more when I have time. Did you guess the right one? More photos coming again soon along with others ways I am exploring with the new smartphone in my life. Disclosure: As a member of the Verizon Lifestyle Bloggers, I received the Nokia Lumia Icon to test out and share ways that I use it in my life. There was no other compensation. I am a long time Verizon customer, and all opinions are my own.